Firstly a big hello to all the lovely couples and their friends and family who turned up at the Fair on Saturday 29th June, it was a pleasure to meet you. I’d also like to say thank you to the organiser, Karen Matthews-Whybro who produced such an amazing fair, and a big shout out to the rest of the fab suppliers, it was an honour to be part of the whole shebang! The word “Vintage” is extremely big at the moment in the world of weddings and Sticky Fingers Cake Co is embracing it fully with some new wedding cake designs. Think frills, pearls, bling, lace and not forgetting gorgeous blousy flowers, the possibilities for your Vintage wedding cake are endless! 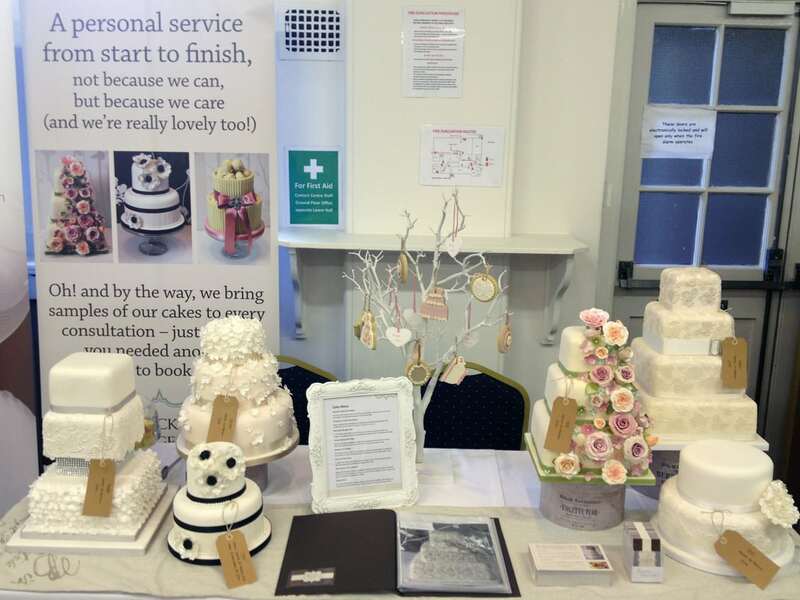 So, onto our next Wedding Fair, which will be at The Lawn, Rochford on Sunday 8th September …. See you there!….